The kids have barely slept. The most sleep I’ve managed in a row is two hours. In total about five hours of broken sleep a night. The twins are teething and they’ve developed separation anxiety. J is suddenly scared of the dark. Did I mention that makes three whiny, whingey, crying children waking me up at night? And they’ve been doing a brilliant job of tag-teaming. To get through this, I’ve started taking more photos. 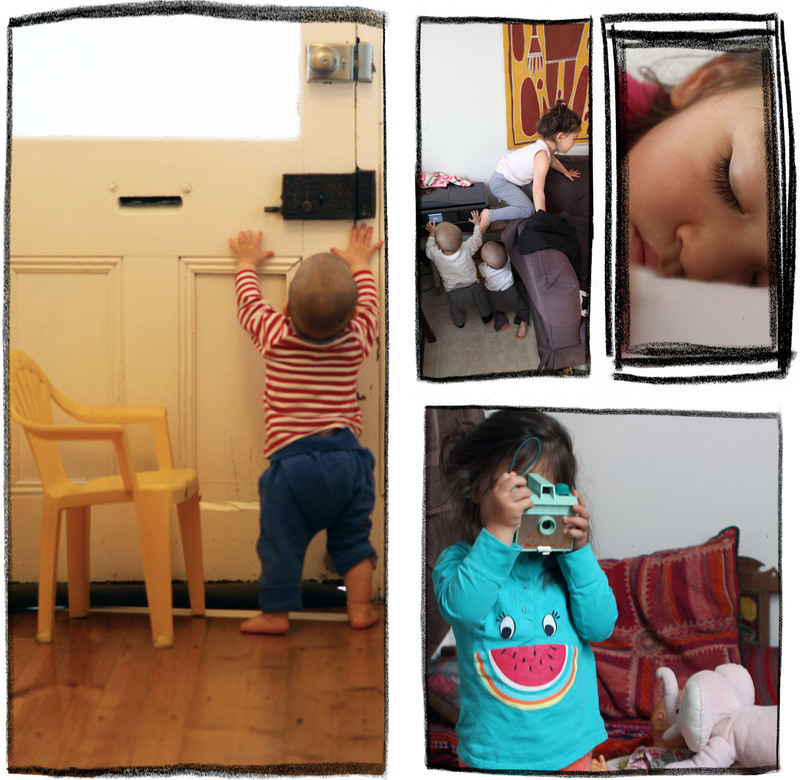 I barely have time to reach for my camera these days, but I’m making a concerted effort to capture some of the fun moments to remind myself that: a) my kids aren’t always rabid and b) I don’t want to give them away. Hang in there! The blood sucking leeches will get older and easier. Ok. I know they’ll get older, anyway. I’m utterly sleep-deprived, too. It’s a crazy world to live in. I don’t know how you’ve managed with four. And you make it look so fun on your blog! Thanks for the words of support. I’m still trying to convince my toddler to help with the chores – her response so far is “mummy do it.” You’re doing an amazing job with your brood. A certain member of my family used to tell me, “Enjoy these days. They are so wonderful.” Blah blah blah. They were not wonderful, and I did not enjoy them, and I am grateful that they are over. Does that help? No, probably not. Hm, let’s see. Children are leeches, and sometimes I would love to give mine away. But they will grow out of it… Someday. Hang in there. So what colors did you decide on for your cushions? ?